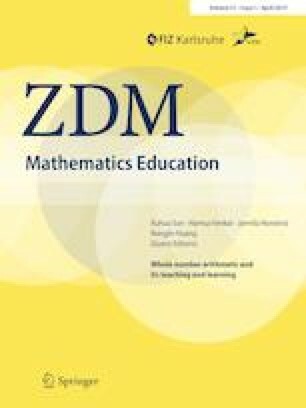 This paper makes a proposal, from the perspective of a research mathematician interested in mathematics education, for broadening and deepening whole number arithmetic instruction, to make it more relevant for the twenty-first century, in particular, to enable students to deal with large numbers, arguably an essential skill for modern citizenship. It suggests that, rather than being content with accurate calculation for numbers with few digits, arithmetic instruction should develop understanding of the overall structure of the base ten place value system (including decimal fractions), and develop comfort with large (and small) numbers that are known only approximately. This would include emphasizing the role of the constituent parts (here called place value parts) into which place value notation decomposes any decimal number. Beyond this, understanding large numbers, and how numbers function in the real world, entails approximation. The notion of relative error (and its variant, percent error) is presented as a useful way to think about error. Relative error behaves in manageable ways under addition and multiplication, and any real number can be well approximated (i.e., with small relative error) by a base ten number with a small number of (non-zero) place value parts. Examples are given of using approximate computation with large numbers to clarify interesting questions. Bartolini Bussi, M. G. (2015). The number line: A “western” teaching aid. In X. Sun, B. Kaur, J. Novotná (Eds.) Proceedings ICMI Study 23 ‘Primary Mathematics Study on Whole Numbers’ (pp. 290–298). Macao: University of Macau. http://www.umac.mo/fed/ICMI23/proceedings.html. Accessed 27 Jan 2018. Chambris, C (2015). Mathematical basis for place value throughout one century of teaching in France. In X. Sun, B. Kaur, J. Novotná (Eds.) Proceedings ICMI Study 23 ‘Primary Mathematics Study on Whole Numbers’ (pp. 52–59). Macao: University of Macau. http://www.umac.mo/fed/ICMI23/proceedings.html. Accessed 27 Jan 2018. Civil Rights Corps. (2017). http://www.civilrightscorps.org. Accessed 27 Jan 2018. Epp, S., & Howe, R. (2008). Taking place value seriously. http://www.maa.org/sites/default/files/pdf/pmet/resources/PVHoweEpp-Nov2008.pdf. Accessed 27 Jan 2018. Howe, R. (2012). Three pillars of first grade mathematics. http://commoncoretools.me/2012/02/08/article-by-roger-howe-three-pillars-of-first-grade-mathematics/achievethecore.org/page/252/the-three-pillars-of-first-grade-mathematics. Accessed 27 Jan 2018. Lin, P.-J. (2015). Teaching the structure of standard algorithm of multiplication with 2-digit multipliers via conjecturing. In X. Sun, B. Kaur, & J. Novotná (Eds.) Proceedings of the 23rd ICMI Study ‘Primary Mathematics Study on Whole Numbers’ (pp. 456–463). Macao: University of Macau. http://www.umac.mo/fed/ICMI23/proceedings.html. Accessed 27 Jan 2018. Space. (2018). https://www.space.com/11115-japan-earthquake-shortened-earth-days.html. Accessed 27 Jan 2018. Sun, X.-H. (2015). Chinese core tradition to whole number arithmetic. In X. Sun, B. Kaur, & J. Novotná (Eds.) Proceedings ICMI Study 23 ‘Primary Mathematics Study on Whole Numbers’ (pp. 140–148). Macao: University of Macau. http://www.umac.mo/fed/ICMI23/proceedings.html. Accessed 27 Jan 2018. Thanheiser, E. (2015). Leveraging historical number systems to build an understanding of the base 10 place value system. In X. Sun, B. Kaur, J. Novotná (Eds.) Proceedings ICMI Study 23 ‘Primary Mathematics Study on Whole Numbers’ (pp. 149–156). Macao: University of Macau. http://www.umac.mo/fed/ICMI23/proceedings.html. Accessed 27 Jan 2018. Venenciano, L., Slovin, H., & Zenigami, F. (2015). Learning place value through a measurement context. In X. Sun, B. Kaur, J. Novotná (Eds.) Proceedings ICMI Study 23 ‘Primary Mathematics Study on Whole Numbers’ (pp. 575–582). Macao: University of Macau. http://www.umac.mo/fed/ICMI23/proceedings.html. Accessed 27 Jan 2018. Wikipedia1. (2018). http://en.wikipedia.org/wiki/SI_base_unit. Accessed 10 Sept 2018. Wikipedia3. (2018). http://en.wikipedia.org/wiki/Equationoftime. Accessed 10 Sept 2018. YouTube1. (2017). http://www.youtube.com/watch?v=Oo0jm1PPRuo. Accessed 27 Jan 2018. YouTube2. (2013). http://www.youtube.com/watch?v=ZMByI4s-D-Y. Accessed 27 Jan 2018. Zhang, Q.-P., Cheung, K.-C., & Cheung, K.-F. (2015). An analysis of two-digit numbers subtraction in Hong Kong primary mathematics textbooks. In X. Sun, B. Kaur, J. Novotná (Eds.) Proceedings ICMI Study 23 ‘Primary Mathematics Study on Whole Numbers’ (pp. 488–495). Macao: University of Macau. http://www.umac.mo/fed/ICMI23/proceedings.html. Accessed 27 Jan 2018.